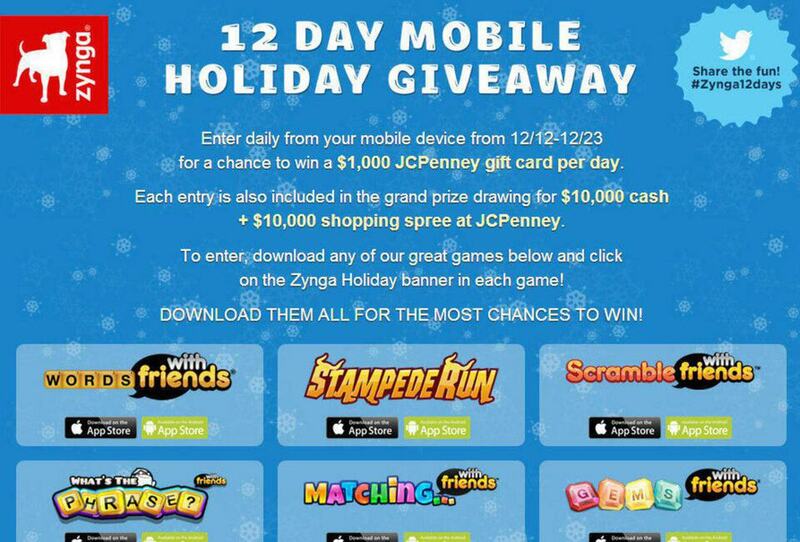 The Zynga 12 Days promotion project was an assignment for Tenthwave of New York. 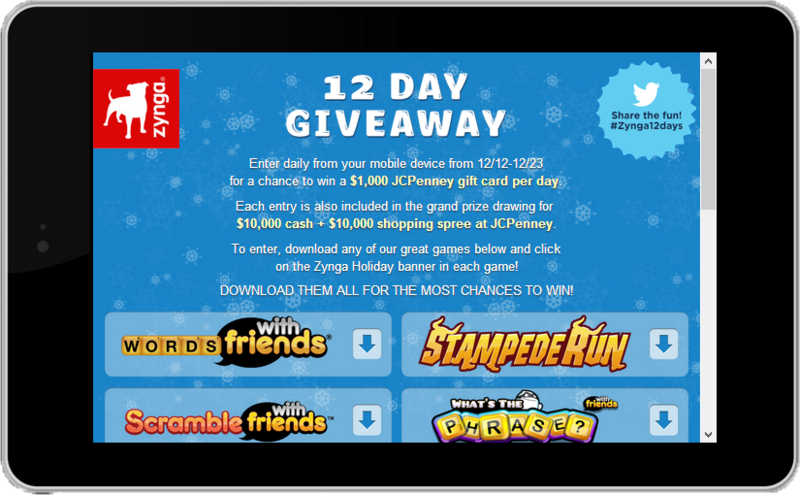 The client Zynga is a gaming and mobile application technology company. 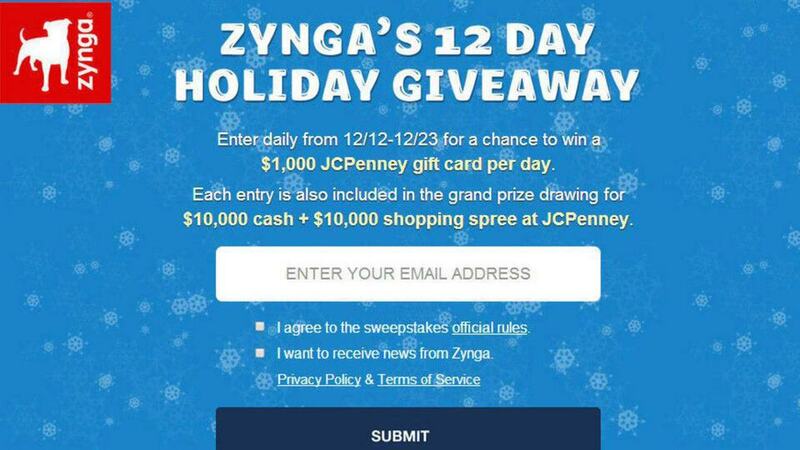 The promotional site collected user registration information as entries for a sweepstakes to win prizes by downloading applications from Apple iTunes and Google Play. The site CSS included media queries to be responsive for all devices, including various phone and tablet resolutions. The site also integrated with Facebook and Twitter. The user data processing was done by a Java Spring MVC back end and was built by other developers at Tenthwave.